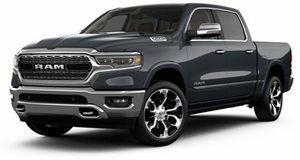 2019 Ram 1500 Lone Star Silver 4x2 Crew Cab 5'7" Box powered by 3.6-liter V6 Gas Engine with 8-Speed Automatic transmission. Case IH Red, Late availability. New Holland Blue, Late availability. Black Clearcoat, Low volume. Late availability. Bright Green, Low volume. Late availability. Bright Red, Low volume. Late availability. Construction Yellow, Low volume. Late availability. Detonator Yellow Clearcoat, Low volume. Late availability. Hills Green, Low volume. Late availability. Light Cream, Low volume. Late availability. Light Green, Low volume. Late availability. Midnight Blue Pearlcoat, Low volume. Late availability. National Safety Yellow, Low volume. Late availability. Omaha Orange, Low volume. Late availability. Power Tan, Low volume. Late availability. Robin Egg Blue, Low volume. Late availability. School Bus Yellow, Low volume. Late availability. Timberline Green Pearlcoat, Low volume. Late availability. Tree Green, Low volume. Late availability. Yellow, Low volume. Late availability.